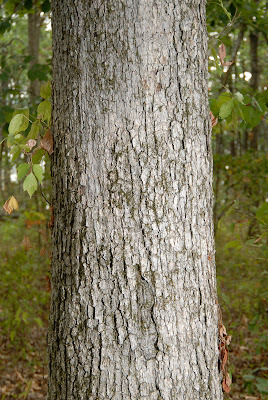 Chinkapin oaks are members of the white oak family. 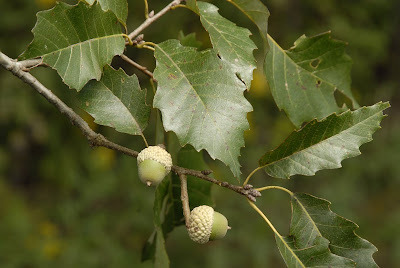 Their acorns are highly sought after by deer, perhaps second in preference only to white oak. 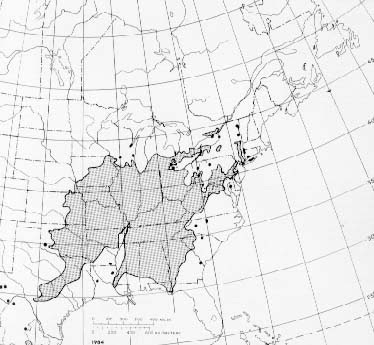 Chinkapin oaks are found in most of the Eastern United States, typically growing in well-drained rocky upland areas associated with limestone outcroppings, hence their common name Rock Oak. The bark is light gray and similar in texture to white oak bark at the base of the tree. Unlike the white oak, whose bark becomes scaly toward the top of the tree, the chinkapin's bark stays uniformly "flaky" from bottom to top. 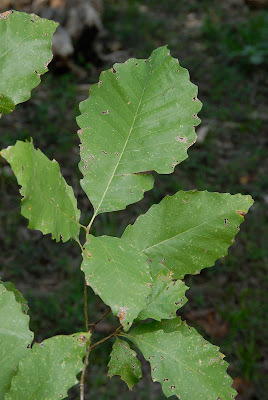 Leaves are football shaped, similar to a chestnut oak, but smaller. The ridges around the edge of the leaf end in small pointed teeth. Chinkapin oak acorns are similar to white oak acorns but are usually smaller. The caps are warty looking and the nuts are typically yellow, brown, or black when mature. The immature acorns pictured above will grow longer and more pointed toward the tip as they mature. Thank you for the fine images.